Cosmopolitan Agios Nikolaos is the capital of the Lassithi region and is located on the shores of Mirabello Bay and Lake Vulizmeni. The secret of the popularity of this resort lies not only in well-developed infrastructure. There are Blue Flag-awarded beaches very close to Agios Nikolaos and attractions known far beyond Crete. The main treasure of Agios Nikolaos is the Lake of Vulizmeni, connected by a strait to the sea. If this reservoir did not exist, the city would definitely lose a lot. According to mythology, Artemis and Athena once bathed in the waters of the lake. There is one more common legend: they say that Vulizmen has no bottom - it really has impressive depth for its size. 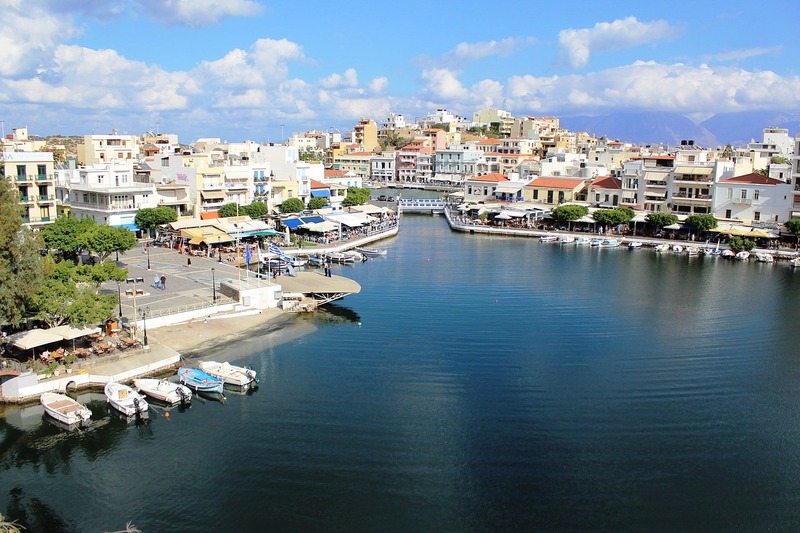 The lake is located in the center of the city, and the whole life of Agios Nikolaos is connected with it: there are numerous restaurants and shops around, moreover, tourists and locals can take romantic walks. History lovers should visit the Archaeological Museum. It contains findings from different parts of Eastern Crete - the oldest are dating back to the Neolithic period. The museum features artifacts from burial sites, vases, gold jewelry, bronze weapons, coins, religious figures and statues. Learn more about the culture of Crete in the Folklore Museum of Agios Nikolaos. The collection contains objects of art, including the Byzantine icons, folk costumes, handicrafts, household items, photographs and reconstruction of an authentic Cretan house. 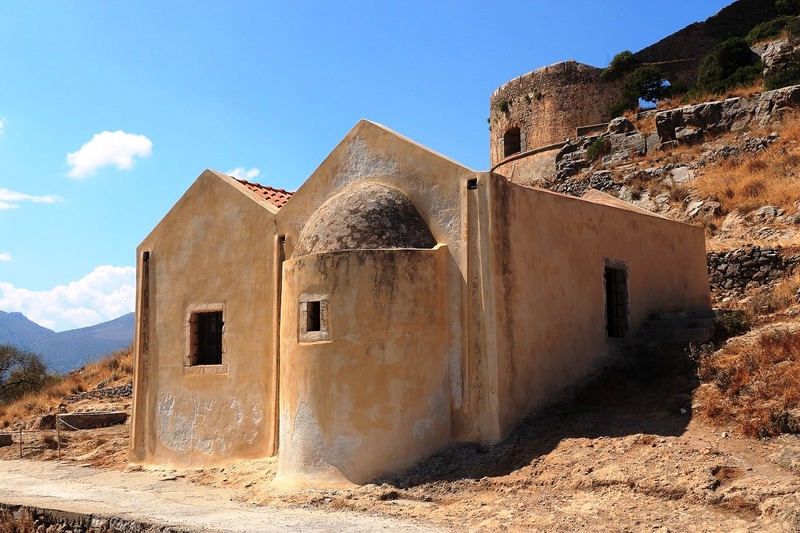 The Byzantine Church of St. Nicholas stands among the ancient monuments of Agios Nikolaos. It was built in the IX century on a small hill. You can see medieval frescoes and paintings inside the building. 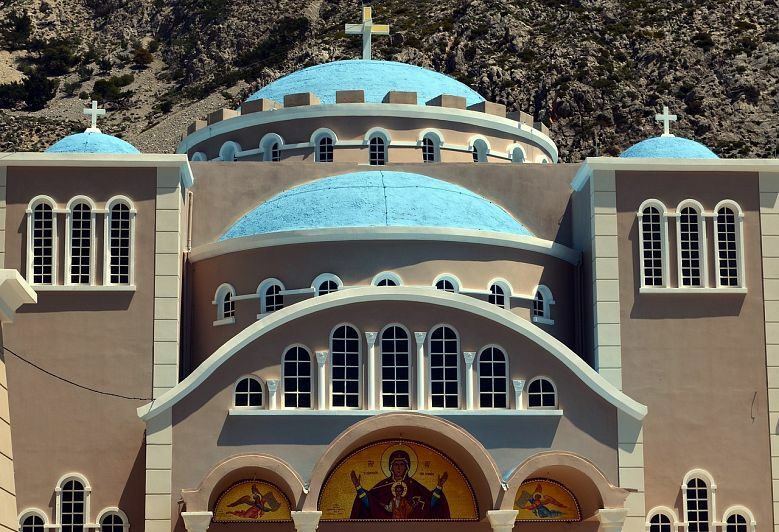 Monastery of Faneromeni, which is located in a mountainous area 25 km away from Agios Nikolaos. The oldest of its buildings is dated back to the 15th century. Almiros is a beach 2 km from the city. It is suitable for family holidays and offers a wide range of entertainment. Please note: the beaches of the popular resort of Elounda are among the most beautiful in eastern Crete just 11 km away from Agios Nikolaos.